Published by Imikomobong Ibia (Executive Columnist), Edited by Daniel Lewis (Editor-in-Chief) on November 26, 2012 in The Penn Sport Report. Click to read article in The Penn Sport Report. After watching the opening month of the NBA season, I have come to a few realizations: the New York Knicks should force Amar’e Stoudemire to come off the bench, the Washington Wizards are the worst team in the NBA with or without John Wall, the L.A. Lakers will be the L.A. Lakers later rather than sooner, and no one can beat the Heat. Yes, I did say that and I will repeat it again for good measure: No team in the NBA can beat the Miami Heat. Before I start getting emails from people saying that I am an idiot, let me clarify. On any given night, even the best team in the NBA can lose to the worst. The talent level in the NBA and the pride of individual players is simply too high for any team to roll over to a superior foe. That being said, when the playoffs roll around and the schedule shifts to a first-to-four-wins series, the most talented teams usually rise to the top. When I say that no team in the NBA can beat the Miami Heat, I mean that in a best out of seven series, no team can beat the Heat four times. Sure, maybe you can make the argument for your favorite team, but deep down you are likely as nervous as the rest of the league of the most talented team in the NBA. Let’s begin with the obvious facts first. The NBA is unique in that so much of a team’s success relies on its stars’ production. The general rule for title contention is that a team must have two superstars to have a legitimate chance to win a championship, though there have been a few exceptions, such as the Detroit Pistons in 2004 and the Dallas Mavericks in 2011. 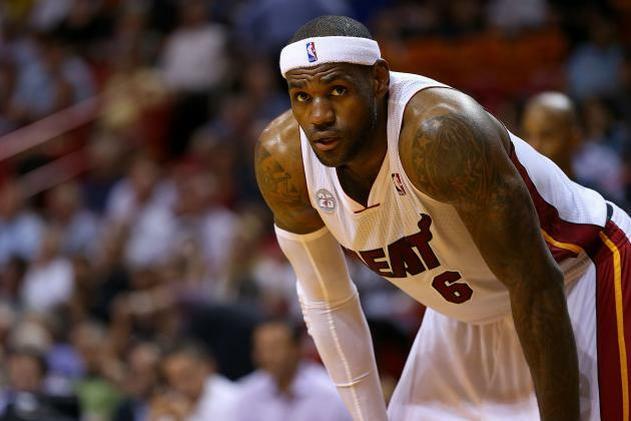 The Heat have two superstars and three top-20 players in the NBA: LeBron James, Dwayne Wade, and Chris Bosh. Yet, it all starts and ends with LeBron, LeBron, and more LeBron. Any NBA fan can see the greatness of LeBron, although some simply choose to deny it. LeBron is in the midst of his ninth season and is only 27 years old. He is in the prime of his career, even though he has already won three MVP awards. James is the most talented player of our generation. There is no legitimate debate as to whether he is the best, and he is the most physically gifted basketball player this side of Wilt Chamberlain. He should and is more than qualified to win the Most Valuable Player Award every year, but he does not because of voter fatigue. The only question mark surrounding LeBron was whether he was mentally tough and clutch enough to lift a team to a championship. He proved his doubters wrong with one of the best playoff performances by anyone in the history of the game. His Player Efficiency Rating (PER), generally thought to be the best statistic at quantifying player’s overall performance, was 30.34, well above the league average of 15.00 and All-Star player score of 20.00. In June, James trekked into the post more often and went to work on a smaller Kevin Durant. KD, or anyone else for that matter, simply could not stop LeBron from having his way in last year’s playoffs. LeBron improved dramatically during those playoffs, and the scary part is that LeBron is still getting better in all aspects of the game. LeBron’s improvements this season are already visible in just a handful of games. Though LeBron has returned to shooting three-pointers, his three-point percentage resides in the upper echelon of the league at almost 45%. He is hitting treys at such a high rate while attempting threes a game. In fact, these impressive numbers belong to a player most fans still feel is a below average shooter. Playing mostly power forward in the Heat’s small ball lineup, LeBron’s rebounds are also up to 9.1 per game, a rate that currently exceeds his second-highest rebound average by more than a one full rebound. Perhaps most importantly, LeBron’s game has matured to the point that he is making fewer careless mistakes, as evidenced by his career-low 2.0 turnovers per game. It is still very early in the season, but this new LeBron seems like the perfect fit for this small ball Heat team. Of course, it would also be foolish to overlook the other players on his stacked Miami squad. Dwayne Wade may be slowing down and struggling with injuries, but he is still the second-best player on floor every night when the Heat are playing an opponent not named the Lakers or the Thunder. He is picking his spots better than ever and can still take over a game at will. Often overlooked and considered Miami’s “third wheel,” Chris Bosh has finally found his groove on this Heat team. As the center of the small-ball team, Bosh is having the finest season of his career. His PER is more than five points from last season’s 18.9, and his points and rebounds are up significantly as well. In addition, the offseason additions of Ray Allen and Rashard Lewis are providing exactly what the Heat needed: shooters to space the floor with the Big 3 on the court.